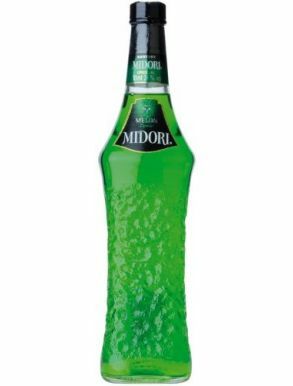 Midori Original Melon Liqueur is a must for all the cocktail experts and mixologists. It is made from a blend of melon's, including the Yubari and Musk, combined with neutral spirits to highlight the melon distillate, the natural flavours and Loius Royer brandy that adds a true richness and depth. its bright green-coloured is a trademark of this muskmelon-flavored liqueur made by Suntory.